It’s time to boost your internal as well as external communication with an approach of Unified Communications that GrandstreamIndia offer. Businesses of any sort and of any scale are observing the increase in development with GrandstreamIndia Solutions- for combined communication. The accounted factors for such are a legacy of flexibility, efficiency, increased productivity, and scalability. They are resulted in the Responsiveness that sets apart a venture. Serving the Heathcare Sector with the best services! Affordable and Friendly for you! No doubt, an updated communications approach works like medicine for different business. With a regularly increasing population, the requirement for healthcare is in regular demand. GrandstreamIndia IPPBX products are the best to help the healthcare center in constant communication. GrandstreamIndia can assist your business function more proficiently perfectly. As a business in the telecommunications business, you should be working as a technologically higher example to your clients. Such things can be achieved through the use of a GrandstreamIndia IPPBX system and the numerous savvy features we give. Safeguard Door Access for Residential Market! Find the Better Door Intercom Services! Now a days, everybody wishes to feel as secure as they can within their own house. Grandstream door access structure is perfect for it. You will have an impression of all your visitors and any unwelcome guests and will easily prevent access by unauthorized individuals. Rightly Serving the Auto and Transportation Industry with the Best Solutions! Get Personalized Services according to business requirements! Since the number of vehicle owners regularly increasing every year, undoubtedly the auto and transportation sector is flourishing. It implies, a number of the employees are moving, on the road with clients or situated in offices and showrooms all over the world. Are you busy in dealing with client's financials? Try to avoid any sort of inconvenience. An old communication system can take them unsatisfied. 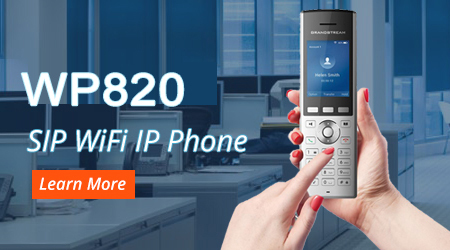 GrandstreamIndia IPPBX systems is here to give the best features that let you to remain in connection through the IP PBX system wherever you are so you never miss one more main call, as well as offering your company with an additional level of software safety. Media Houses and Enterprises are enhancing their internal and external communication with an approach of Unified Communications that GrandstreamIndia Solutions offer. Media houses and enterprises of any kind and of any scale are witnessing the increase in growth with GrandstreamIndia Solutions- for Unified Communication. The responsible factors for such is an inheritance of flexibility, effectiveness, increased productivity, and scalability. All these leads to the Responsiveness that sets apart an enterprise.